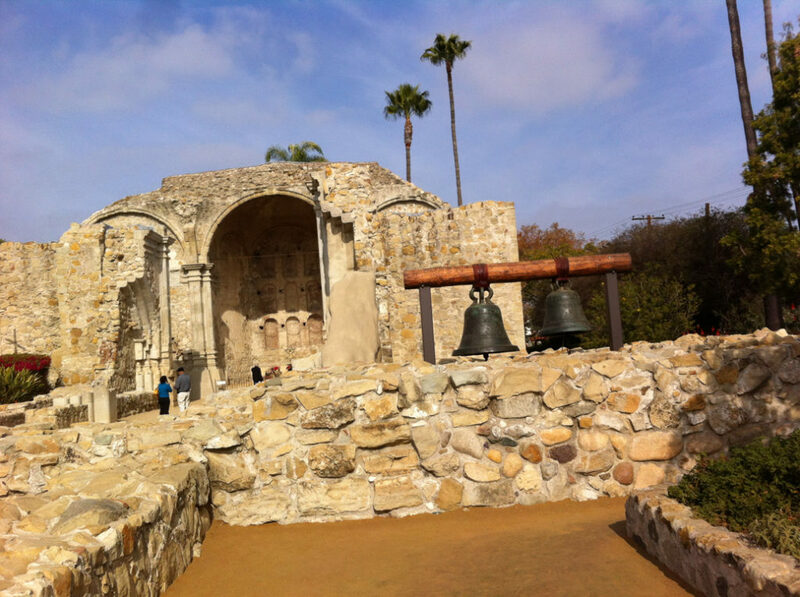 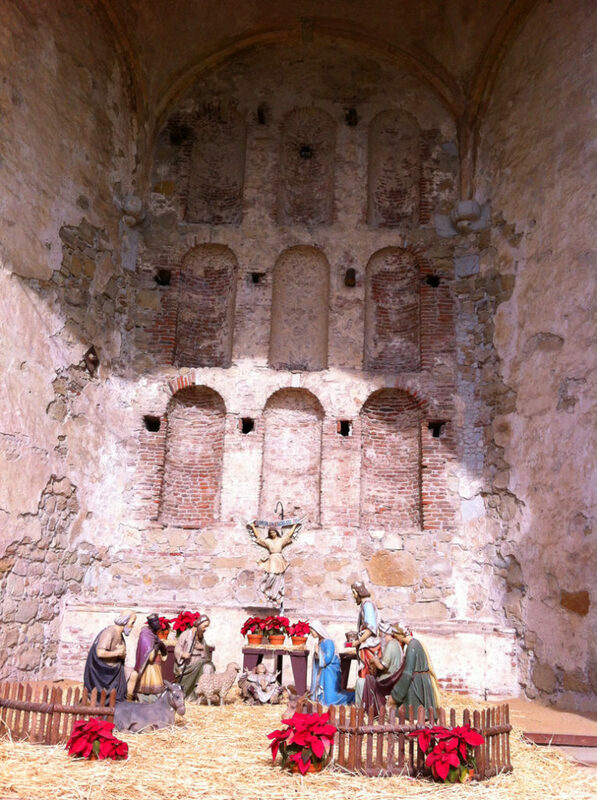 Construction of the Great Stone Church at Mission San Juan Capistrano began in 1796. 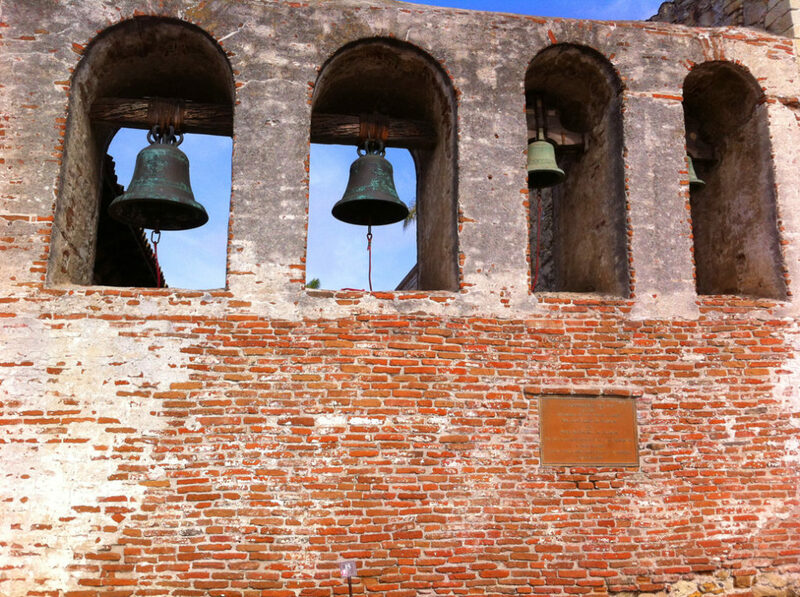 It was finished and dedicated in 1806, but only saw 6 years of service before a massive earthquake in 1812 destroyed the church and the massive bell tower during mass. 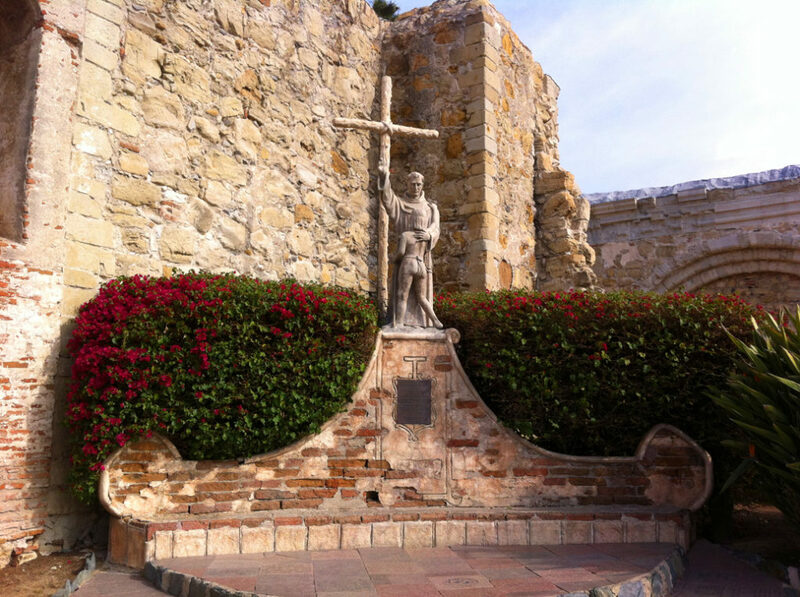 The church was never rebuilt and those who died during the earthquake are buried in the Mission cemetery. 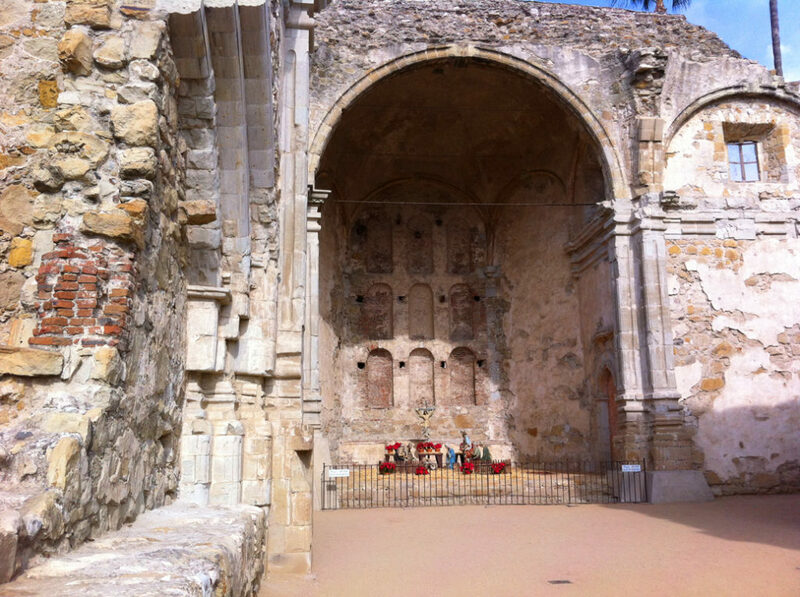 Considering the significant passage of time and subsequent earthquakes, it seems fairly impressive that transept, sanctuary and sacristia are still standing. 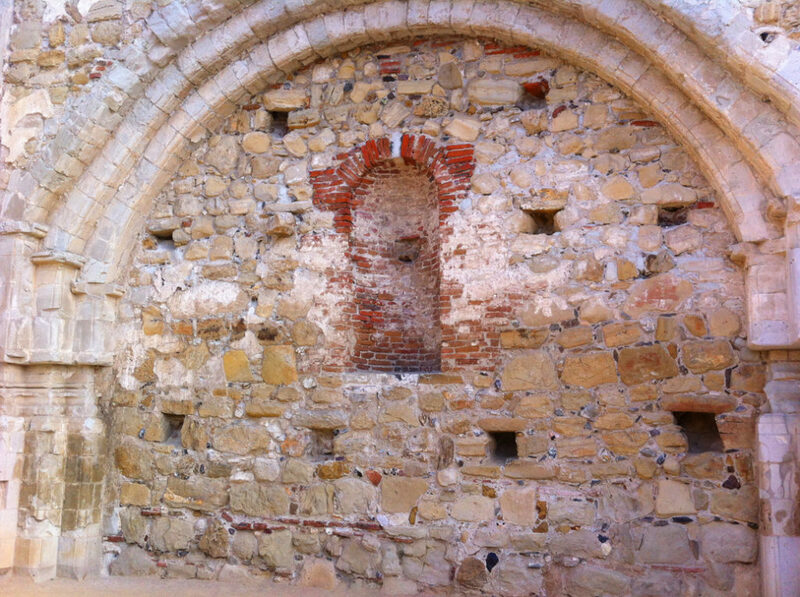 Preservationists have taken great pains to stabilize the remaining structure. 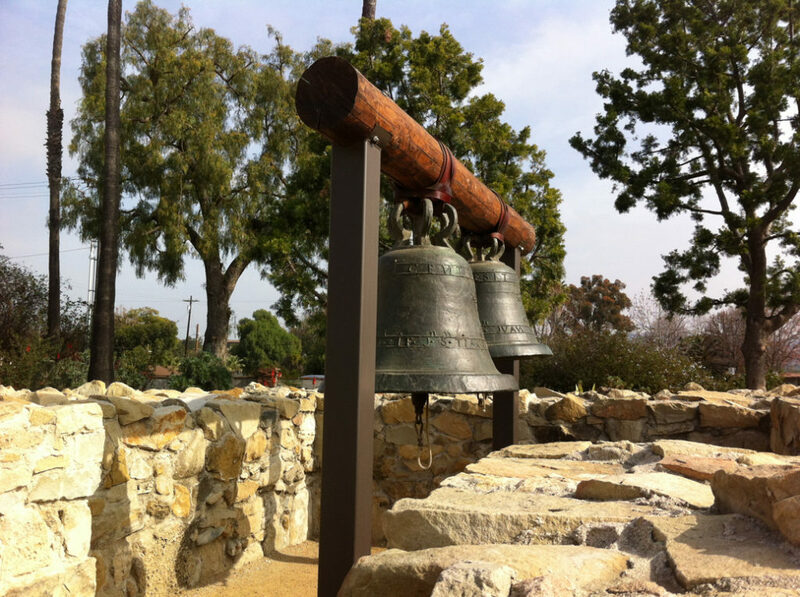 A bell wall was constructed featuring bells that were salvaged from the rubble, as well as re-cast bells to replace those that were too damaged to be used– those are now placed at the site where the original bell tower stood. 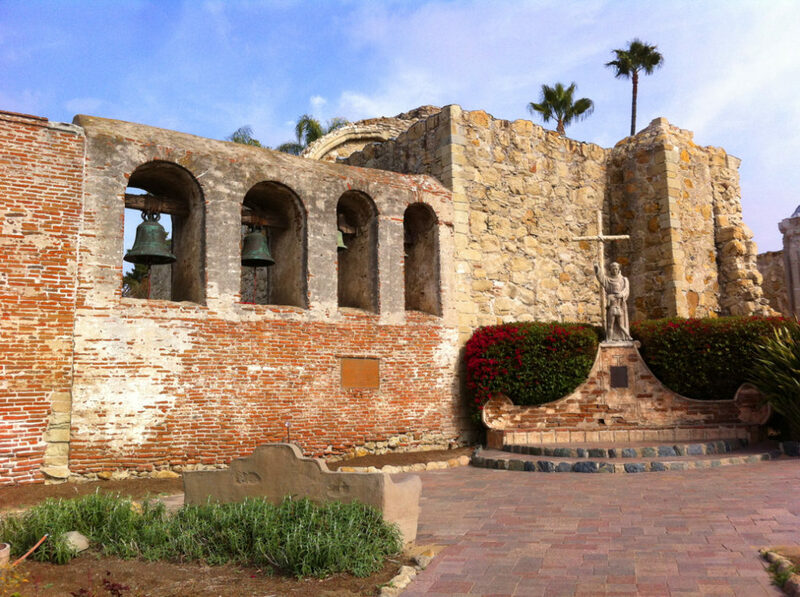 There is no separate charge to view of the ruins once you enter the Mission. 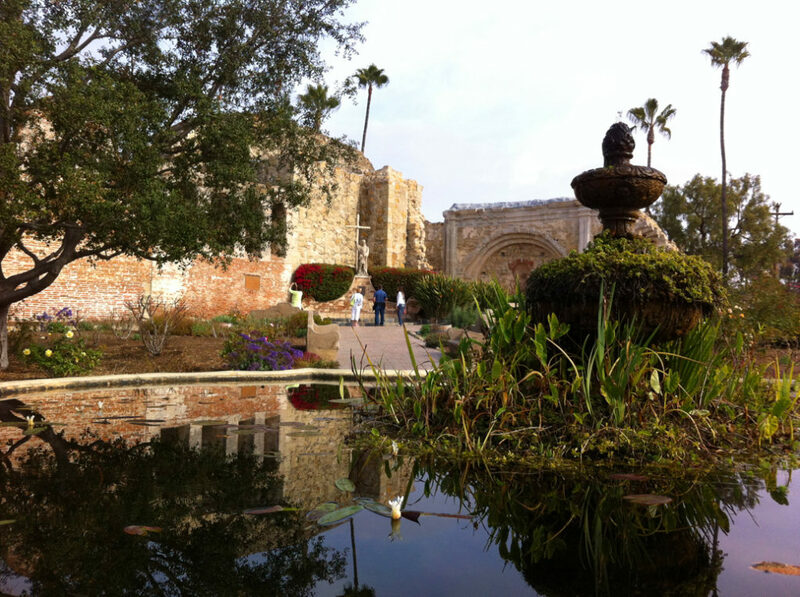 There are certain areas you cannot enter, but most can be seen clearly from a safer vantage point.